If you are looking to treat yourself to a relaxing stay then you can't do better than choosing from one of our selection of hotels in Cornwall. As one of the UK's longest established holiday destinations there is no shortage of quality hotel accommodation ranging from the quirky boutique through to the ultra-stylish luxury end of the market. Head into any of Cornwall's seaside towns and it won't take long to spot at least one grand hotel; the Harbour Hotel in Padstow, the Headland in Newquay or the Falmouth Hotel in, yes, Falmouth, to name a few. Often commanding the best spots in town, a seaview is pretty much a given, as are the host of facilities you would expect from a quality hotel. With onsite restaurants, swimming pools and sporting facilities commonplace it might even take some effort to drag yourself away. Unlike B&Bs though, that's not a problem - you won't be ushered out of the door straight after breakfast and expected to stay out for the rest of the day. With accommodation it is safe to say there is no a "one size fits all" solution and as a result Cornwall's hotels come in an array of shapes and sizes to suit all budgets. Choose your style from hidden boutique hotels, spa resorts, or five-star, luxury hotels offering all the amenities you could wish for. Perhaps even more important is location, and I can't think of a hotel in Cornwall which doesn't have a great location; whether you're looking for a country house retreat, coastal hideaway or townhouse you'll find a hotel to suit your holiday style. 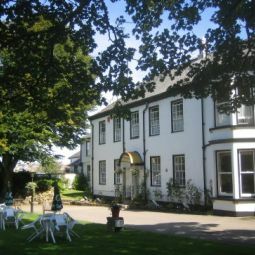 Another great feature of many Cornish hotels are the onsite restaurants. These often offer some of the best food in town and whilst being somewhat independent of the hotel itself, still benefit from the fantastic locations. 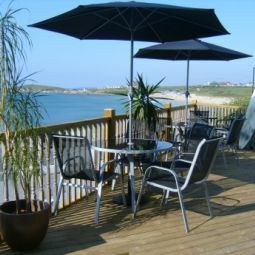 And after dinner you could head to the bar for a cocktail or two and enjoy some of Cornwall's hippest night spots. Many of the hotels listed are perfect for those seeking a more active break. If you fancy a spot of golf or fishing, or maybe hitting the surf at one of Cornwall's renown surfing beaches, there will be a hotel for you. And for the ultimate in holiday relaxation indulge yourself with an apres-activity treatment at one of Cornwall's spa-hotels.